Anytime Parkersburg’s River City Runners have an adult event, there is at least one companion children’s events. They also stage separate children’s events. “We love to see different generations running together,” said board member Sharon Marks. Every kid who runs gets a prize, she said. “This is about getting them to have fun running with other kids and maybe to improve their own time, but not so much competition,” she said. They don’t drill kids or make them work out. Sometimes they dress up in costumers. Sometimes they chase the grownups. Sometimes there’s an obstacle course. The first time a child participates in a calendar-year run-walk event, they get a T-shirt. After that, they get an iron-on star for each event. Kids with four stars attend a free party at the Y at the end of the year. When a kid participates in their first event of the year, he or she gets a T-shirt. Then for every event after that, he or she gets an iron-on star for the T-shirt. “They love those stars!” Marks said. a party, to swim, play basketball, and do whatever the Y offers. Then they all get awards and eat ice cream and cake. The club also raises money for running shoes for young people who can’t afford them. In 2012, the bought more than 100 pairs of running shoes for low-income children. 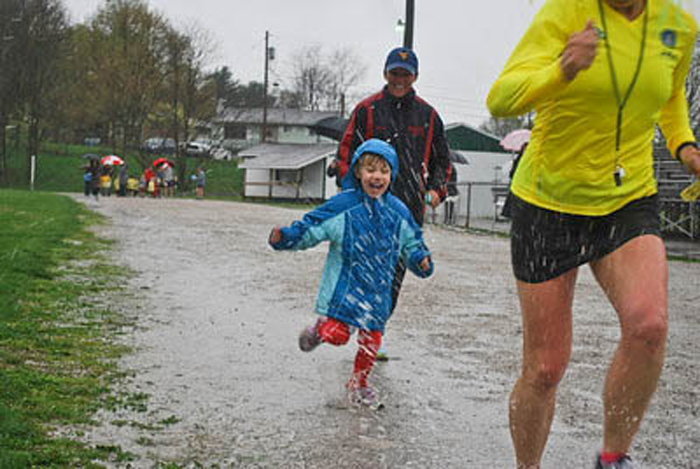 Want regular kids’ running events in your community? In Jefferson County, the adult running community organizes regular childrens’ events such as this obstacle course race. The proceeds from the huge yearly Freedoms Run pays for fitness trails at the county elementary schools. Pull together a variety of groups that might help: churches, scouts, adult runners. Visit a River City Runners event or another community with kids’ runs. Talk with the people who organize the events. Borrow their ideas. Keep it fun! Don’t drill them. Make them laugh. Make them want to come back. 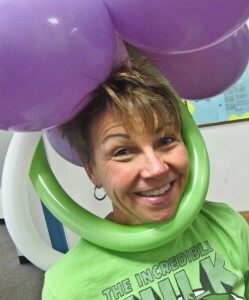 Create obstacle courses, costume races, Chase-the-grownups races, whatever fun thing you can think of. Give every kid who ran a ribbon or other prize. Pedometers and trying to improve your personal best are great. Kids Run the Nation, the youth running program of the Road Runners Club of America guide, has lots of ideas.